It’s no secret that one of the keys to getting bigger and stronger is training volume, or the total number of reps completed. 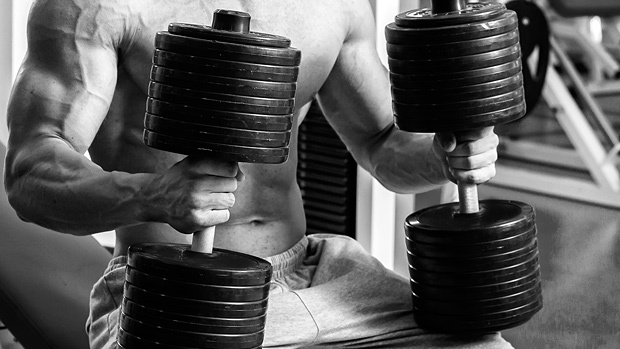 Sure, you could spend a few hours in the gym every day getting all the volume you need in. Look no further than professional bodybuilders to know that this strategy works. But most lifters don’t have that luxury. We have families, jobs, and other responsibilities that limit our time in the gym. As a result, we have to find ways to increase volume without increasing the length of our training sessions. What we’re really talking about here is increasing “density,” which corresponds to training volume per unit time. Let’s say you had only 20 minutes to spend at the gym today. If you were to do your usual five sets of five reps with two minutes rest in between, that would eat up more than half of your workout and leave you with little time for much else. Don’t even think about talking to anyone or taking a bathroom break. So what are some ways to maximize density and get the most out of those 20 minutes (or however much time you have in the gym)? In my new T-Nation article, I break down six proven set/rep schemes that will enable you to do just that.